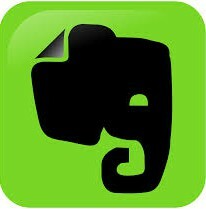 Evernote: save everything across all of your devices and access notes, pictures, PDFs, or anything else you save from anywhere. Skitch: Instantly mark up and annotate photos. Good Reader: Review, edit, annotate and manage all of those PDFs with this highly-rated app. Simple Mind: Looking for a way to simplify how you structure your next group project or paper? Mind-mapping software can get you organized. Dragon Dictation: Save time-dictate your brilliant thoughts and let this voice-to-text app capture them for you. ToDoIst: You have a lot to do, so let this simple app help you prioritize and stay on top of deadlines and tasks.